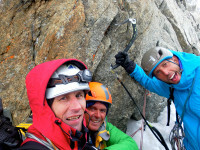 On the 15th of April Rob Powell and 2 friends summited the North Face of the Eiger. 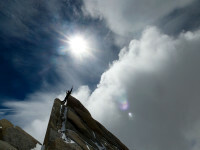 Climbing is synonymous with travel. 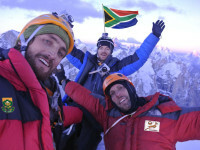 As climbers we get to avoid the tourist label and experience foreign places and cultures in a unique and often authentic way. There are a handful of must-see climbing destinations that demand a pilgrimage. 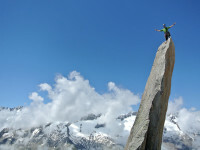 For alpine climbing the place it all began is Chamonix. 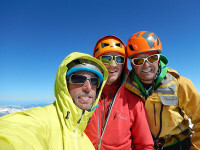 South Africans Jeremy Colenso & Rob Powell with Brit Paul Maine have recently completed the probably first South African ascent of the Croz Spur on the Grande Jorasse. 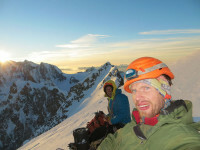 Trango: Many good adventures start over a pint. Nursing a throbbing head the next day, the previous nights discussion is written off as the beer talking. I never really believed this trip would happen.